Last year I joined the Aussie Handmade Birthday Club. I was assigned to a group of 12 ladies each with a designated month (that may or may not correspond with our birth month depending on availability!) and every month each member makes a gift for the birthday girl. I wanted to share what I made for our January birthday girl, Kelly. 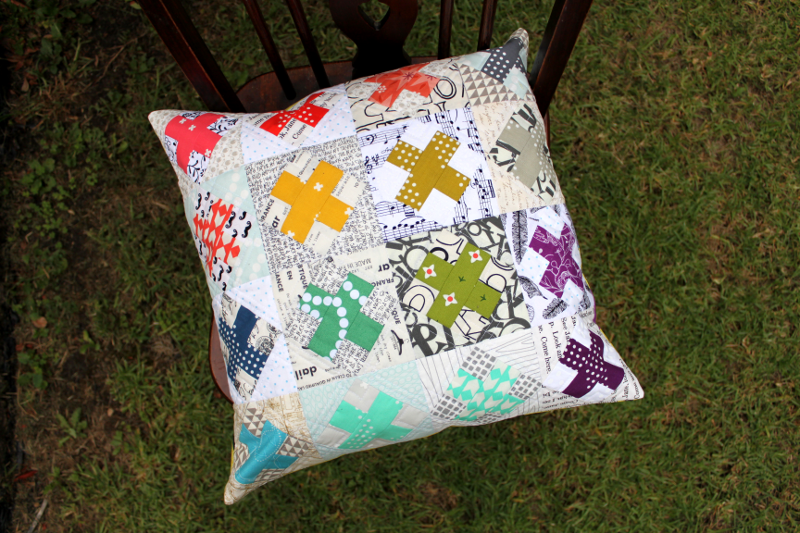 Despite the time spent unpicking I really enjoyed making these blocks and finishing them into a pillow. To quilt I used my walking foot and straight lines but I turned the pillow front as I went along to make a pattern of diamonds between all the pluses. Complicated to explain but it turned out lovely. The picture below gives a closer view of the quilting. The best part is the birthday was thrilled with her gift. And I'll be revisiting this block soon as I may have cut out pieces for a second set of blocks at the same time as I cut the first. Less time spent refolding fabric! I mentioned in my goals post that this year I'm planning to make the Metro Area quilt from Patchwork City. I've been so excited about this book since I first caught a glimpse of the cover and it has not disappointed. 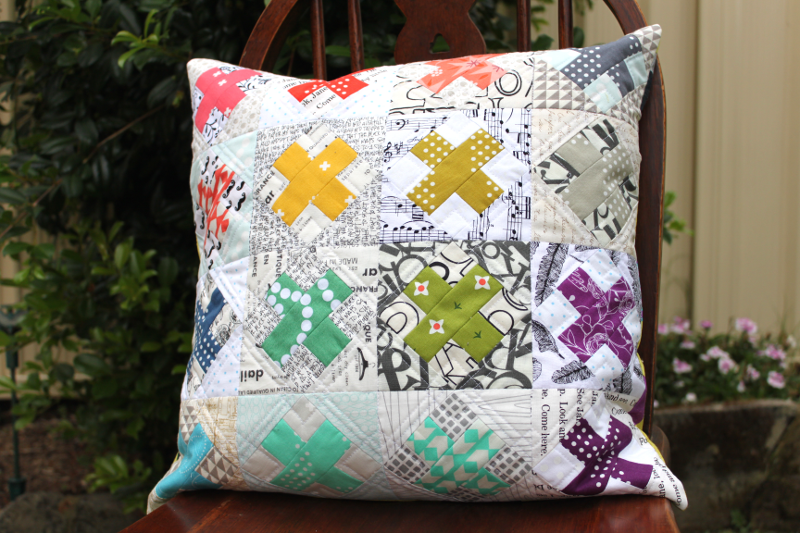 It's filled with 75 modern quilt blocks that go together to make a gorgeous sampler quilt. I've spent the last 12 months hoarding collecting Lizzy House fabrics and decided this would be the perfect project to delve into my collection and start chopping. So far I've made two blocks. I've decided to work my way through the book from beginning to end making each block as I go so I don't leave all the harder ones until last. This block is called Forest Park. And this one is Donut Shop. 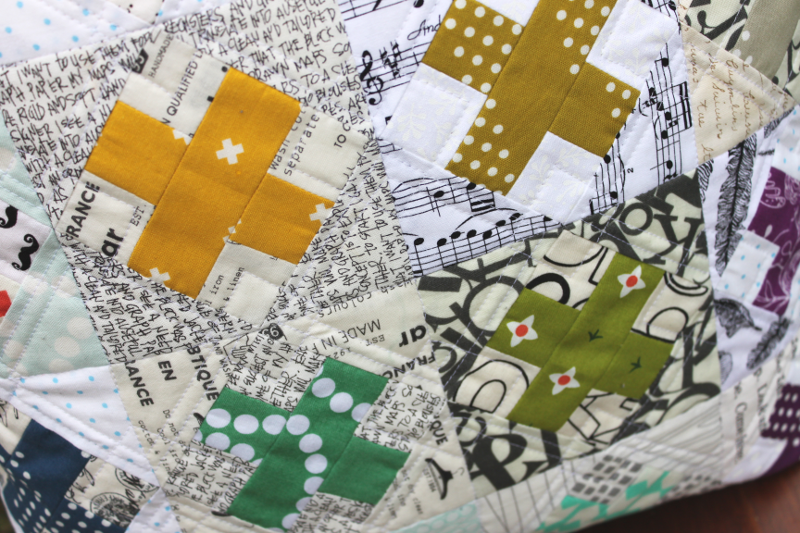 Edit: linking this up to WIP Wednesday with Freshly Pieced... you might see it there again sometime! I'm keen to link up with A Lovely Year of Finishes this year to help me stay on track with projects and finish up some of those I've been procrastinating about. January's goal was an easy one to pick! There are few smaller projects that need finishing this month but the most urgent is my Schnitzel and Boo Mini Quilt Swap mini quilt. The good news is I've already finished the quilt top! My partner had an orange peel quilt in her inspiration mosaic and said she liked colour and novelty prints. In my mind you cant go past Lizzy House for novelty prints so I dug into my stash and picked a rainbow of fussy cuts (largely Lizzy House prints) and colourful blenders for the orange peels. I always like the start of a New Year! I like the chance to review what's been and make plans for what's to come. It's refreshing! I have some exciting plans for this year and plenty of space left for new thoughts and projects as they arise. I wanted to thrash out a few of my ideas here. It will be fun at the end of the year to see where I've come from, what I've achieved and how I've grown... and how much my plans have changed along the way! 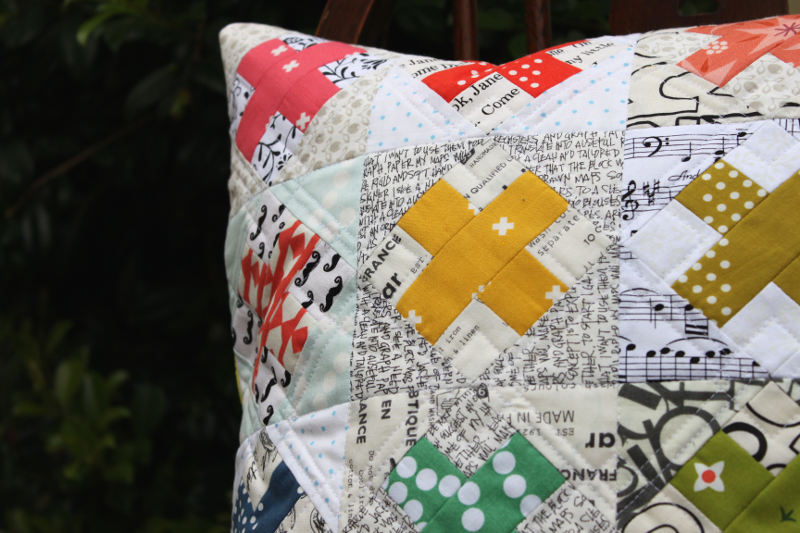 Patchwork City Quilt - I got Elizabeth Hartman's book Patchwork City for Christmas and I'm planning to delve into my Lizzy House stash to make this one. I've made one block so far and I am stoked with how it looks and how fun it was to make! Hoping to make at least a block a week - two if I can! Swaps - I'm currently signed up for four swaps all of which ship by early April so plenty of fun to be had on that front! As an aside, much as I love swaps I've told my hubby he mustn't let me sign up for any more until after April... 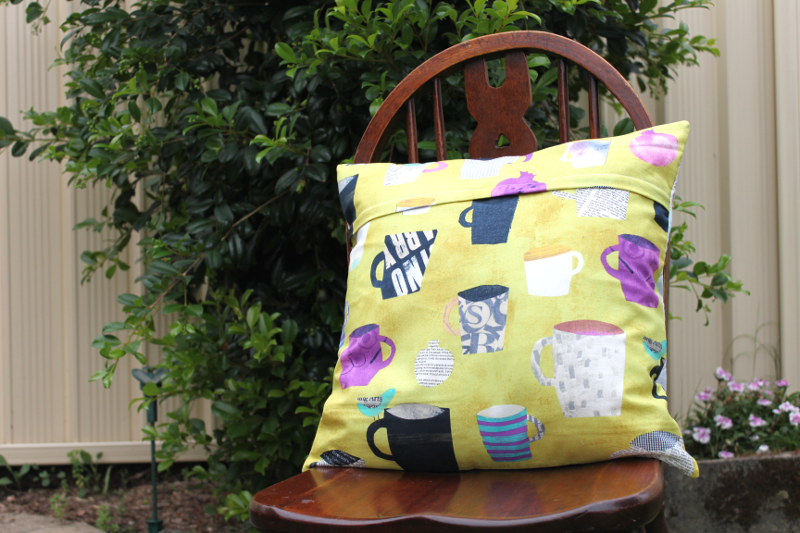 I need to keep time aside for my selfish sewing! The Bee Hive Quilting Bee - as the bee I'm currently in ends this month I thought it was safe to join another - which starts next month. Perfect! I loved my bee experience last year and am going to sorely miss it - Aussie Modern Instabee Hive 5 ladies are the best!! Sydney Modern Quilt Group - I'm planning to join! I want real life quilt friends as well as online ones! 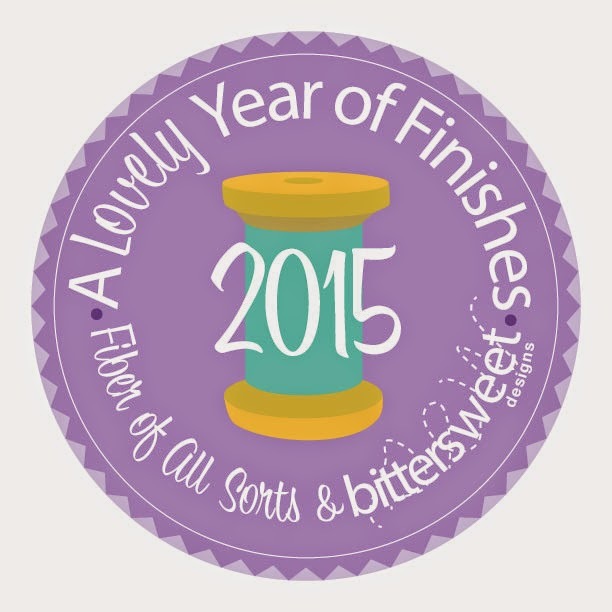 A Lovely Year of Finishes - planning to link up and be motivated to finish at least one something every month! There are plenty more ideas bobbing around in my head but these are the ones most prominent right now. Here's hoping this is a year of inspiration, exploration and friendship... and regular blogging!